The delayed Android Wear 2.0 is finally going to launch on February 9, and now he's back with a boatload of details about Google's much-rumored flagship smartwatches for the platform. Like we've heard before, it turns out that these won't be Pixel branded, and in fact they don't even seem to be Google co-branded. They only appear to carry LG's name, as that's been revealed as the company making both. The wearables will be called Watch Sport and Watch Style, with the former being the higher-end model. The LG Watch Sport will come with a 1.38-inch 480x480 circular plastic OLED touchscreen, 768MB of RAM, 4GB of storage, and a 430 mAh battery. It will have Wi-Fi, Bluetooth, 3G, 4G, GPS, and NFC radios, the latter allowing it to be used for Android Pay in stores. It will also feature a heart rate sensor, as well as IP68 certification for water and dust resistance. It will be 14.2mm thick and will be offered in two color versions, Titanium and dark blue. On the other hand, the LG Watch Style will support swappable straps, and its color options will be Titanium, silver, and Rose Gold. The Style won't have 3G, 4G, GPS, NFC, or a heart rate monitor, so hopefully it will at least be cheap. Its IP67 certification for water and dust resistance is also a step down from the Watch Sport's. The Style will be smaller too, with a 1.2-inch 360x360 round P-OLED display panel. Except for the 4GB of storage, its other specs are downgrades compared to the Sport, as it only has 512MB of RAM and a 240 mAh battery. This watch will be thinner, though, coming in at 10.8mm on that measurement. Both wearables will be announced at an event on February 9, and they will become available in the US on February 10, the very next day. They will then roll out to other markets all through February and March. 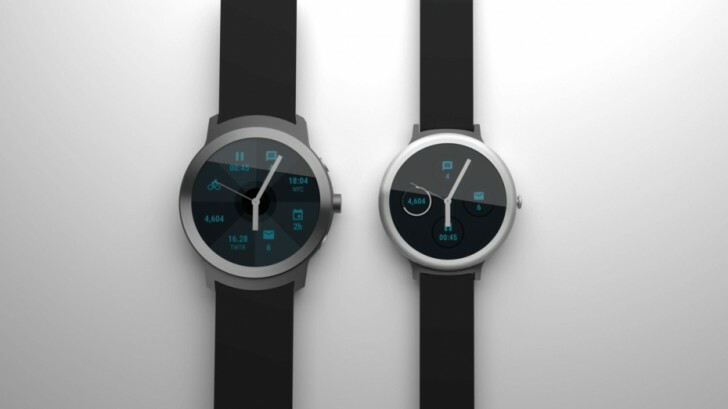 The mockup renders you see above are reportedly depicting the watches' looks pretty accurately. Both watches have a digital crown button that aids navigation, and they both come with handwriting recognition. The Google Assistant is integrated too, as you'd expect from devices running Android Wear 2.0, since that's a headline feature of the new OS version.